This letter from Andy Sharpless first appeared on Oceana’s blog. Read the Spanish translation here. I am writing to you from Peru, where I have just witnessed Oceana’s team win an exciting victory. This week, the government of Peru followed through on its commitment to make its national vessel tracking data publicly available by signing a Memorandum of Understanding. The initial commitment, which was the result of Oceana’s collaboration with the Peruvian government to increase transparency of commercial fishing in Peru’s waters, was announced at The Ocean Conference hosted by the United Nations earlier this year. 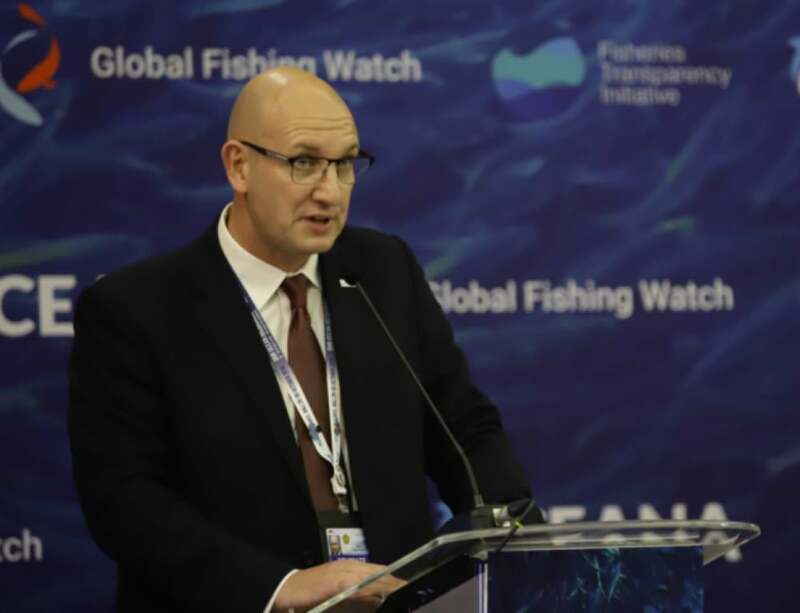 The signed Memorandum will start the process to make Peru’s Vessel Monitoring System (VMS) data publicly available through Global Fishing Watch, which provides the first global view of commercial fishing* activity. This commitment matters because Peru, one of the most globally significant fishing nations and home to an enormous anchovy fishery (historically the world’s largest), has committed to making its fishing fleet truly transparent. We commend Peru’s leadership for this decision, which will not only help to make Peru’s fisheries even more abundant, but will also set the bar for forward-thinking nations acting to promote transparency at sea. This victory is an important step towards saving the oceans and feeding the world. 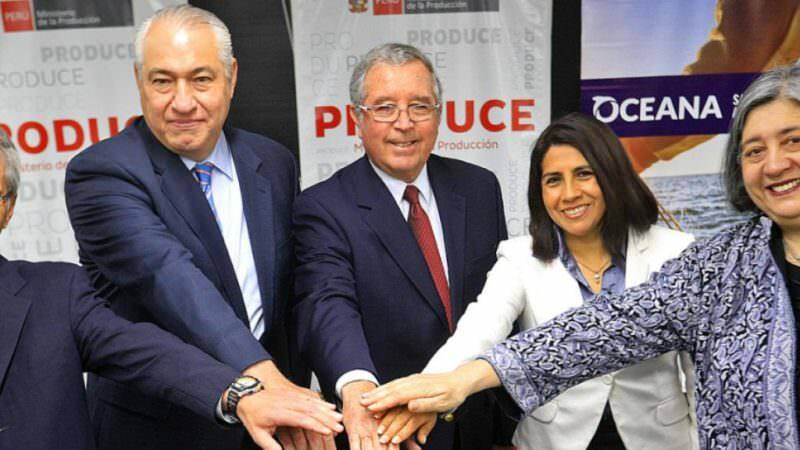 This Memorandum establishes the framework for cooperation and collaboration between Global Fishing Watch and Peru’s Ministry of Production to bring transparency to Peru’s oceans. Peru will become the second country (after Indonesia) to add its VMS dataset to this free, publicly-available platform. This action will make it easier to identify, track and stop illegal fishing in Peru’s oceans and empower the government to enforce its laws effectively. Created by Oceana, SkyTruth and Google and launched in September 2016, Global Fishing Watch uses public broadcast data from the Automatic Identification System (AIS), collected by satellite and terrestrial receivers, to show the movement of vessels over time. Global Fishing Watch uses this information to track vessel movement and classify it as “fishing” or “non-fishing” activity. While AIS is required for the largest vessels that catch a disproportionately large amount of fish, adding VMS data, which is required by some governments, to the Global Fishing Watch platform will provide the world with an even clearer view of fishing activity on our oceans. Together, AIS and VMS data offer the most accurate and comprehensive dataset, and Peru’s VMS data will add information from thousands of vessels to Global Fishing Watch. Global Fishing Watch is free and available to anyone with an internet connection – I encourage you to try it for yourself here. A healthy ocean could provide more than a billion people with a healthy seafood meal, every day, in a way that is truly sustainable. A responsibly-managed ocean could help feed all these people while continuing to support the breathtaking biodiversity that makes our oceans so wondrous. To manage our oceans responsibly, we must know what fishing activity is taking place over the horizon. It is my hope that Peru’s commitment will spur other countries to step forward and contribute their data to this platform to encourage responsible management globally. Together, we can save the oceans and help feed the world.